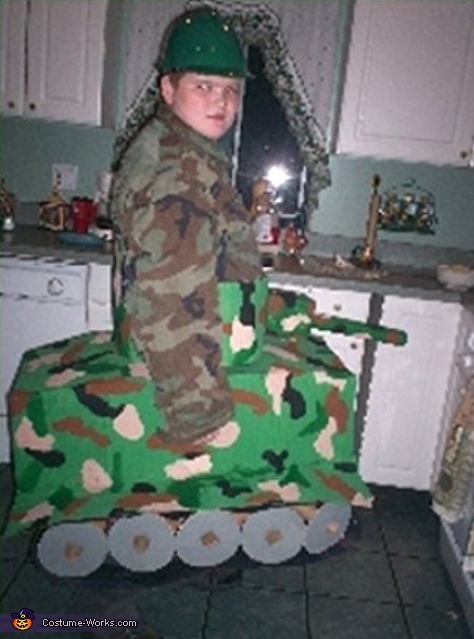 This is Eddie as a Soldier Driving a Tank. Eddie and Mom, Maria, created the tank with Cardboard, Paper Towel Rolls, Black Paper, etc. and LOTS of TAPE! Thanks for the Entry Maria and Eddie. And MANY thanks for thinking of our Troops also!